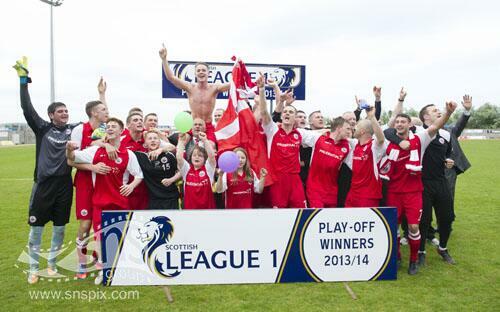 All at Annan Athletic would like to give a massive congratulations to Stirling Albion FC for gaining promotion to SPFL League One after winning their play-off final against East Fife at Bayview this afternoon. The Bino’s managed to overturn a first leg defeat to beat East Fife with goals from Jordan White and Sandy Cunningham, two players that the Galabank faithful are well aware of. We wish them all the best for the upcoming season and hopefully we’ll get another chance to go and join them. At the same time we’d like to welcome East Fife to League two and we look forward to travelling to a new ground in Bayview to face them next season.